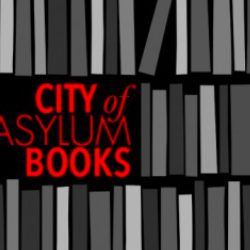 Told from eight different points of view, Christos Tsiolkas‘ The Slap begins at a barbecue in a Melbourne suburb when a man loses his temper and smacks a child. The parents take the man to court. The act triggers a series of repercussions in the lives of the people who witness the event, causing them to reassess their values, expectations, and desires. Tsiolkas fills in the back-stories of his diverse cast of characters while exploring the changing lifestyle of Australia’s middle-class. He also touches on multi-culturalism, homophobia, and infidelity. Winner of the 2009 Commonwealth Writers’ Prize, Christos Tsiolkas’s The Slap is haunting rumination on contemporary family life. The Slap by Christos Tsiolkas. 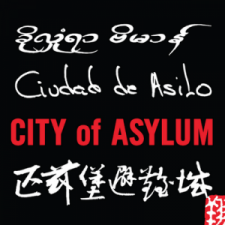 Copyright © 2008 by Christos Tsiolkas. 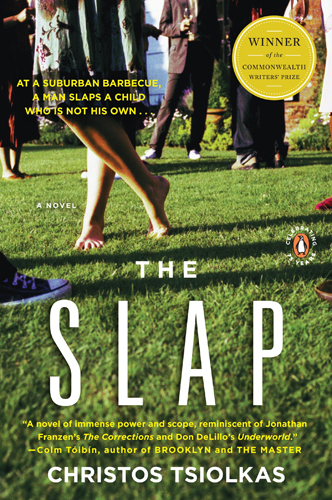 Used by permission of Penguin, a member of Penguin Group (USA) Inc.
Click here to purchase a copy of The Slap.